VEN: Recognition of our work as "Peace Builders"
Matilde Delgado rscj (center) and the team received the award. It was a special and significant moment for the Province. 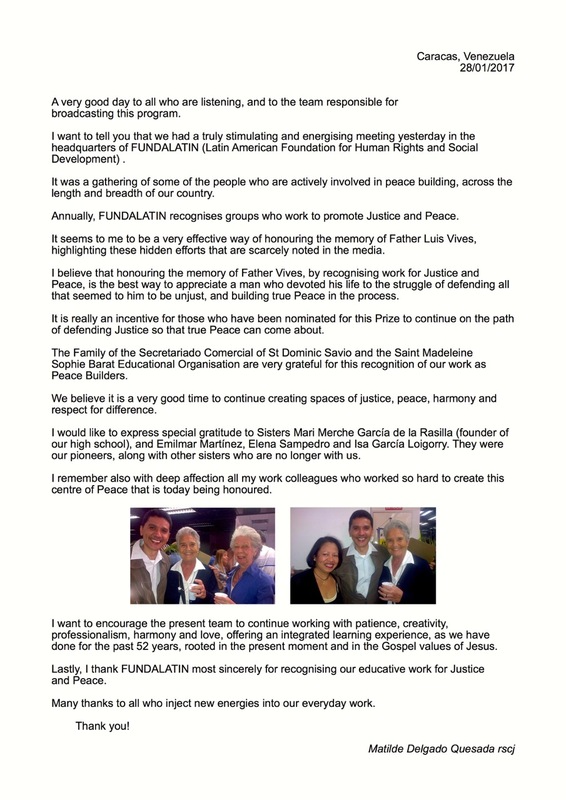 Sister Matilde Delgado rscj and her team received the award. at the Venezuela National Radio program, "Llegó la Hora,"
during the awarding of the prizes.